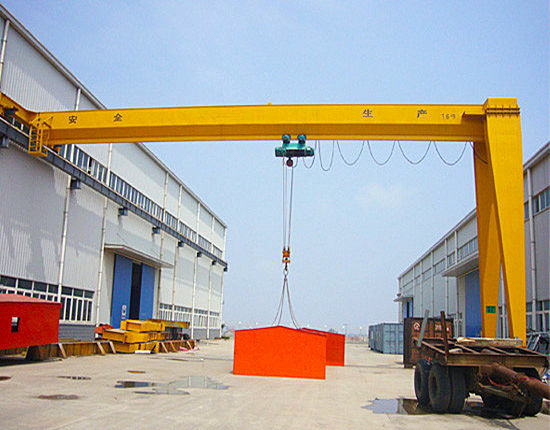 Due to their small weight, single girder gantry crane has a simple structure and easy installation. According to the different construction sites, our products will be set different types of equipment requirements. Under normal circumstances, we will use simple operation to match electric hoists with the single girder gantry cranes. The single girder gantry crane is mainly composed of three major components with mechanical, electrical and metal structure. In addition, the operation mode has two ways that can be ground operating and room operation. If customers have some requirements, the users can choose whether there is operating room. Our team will design a reasonable product customers want. The crane is suitable for factories, rail yards, port terminals, hydro-power stations and other places. All in all, it is a range of using flexible equipment that can operate at lots of construction sites. There is no limit to the weight we can get from a ton to the higher ton. As for the span and the lifting height, the guidance team will give you the appropriate advice about customers’ ideas. Our products can expand your mind and satisfy the application required. For the overall performance of stability and flexible movement, the cranes have two L-shaped legs supporting the entire single-beam structure. The trolley is hung door gantry above the beam, and in the track to move. Compared with the MG double girder gantry crane, it is not structurally limited when it transports longer articles across the span. In addition, because of its structural advantages, its own weight is lighter. Although with less carrying stress, the crane is more reliable and flexible. Technical specification adopts high standards. For the operation of the speed, we will design crab travelling and trolley travelling. 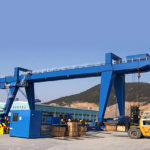 L type single girder gantry crane is mainly suitable for outdoor freight yard, loading and unloading along the railway. 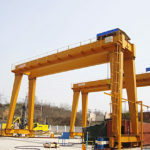 In the transfer of longer goods across the crane, it can be without space constraints. At L-shaped legs setting up a special controlling room, which can help users expand vision, it can be easy to operate. If you want to be more concise, this device can also not exist. Of course, if you think ground operations that are not safe, you can also use remote operations. MH model electric hoist gantry crane is a small and medium-sized crane of the rail operation, often used in conjunction with CD1, MD1 model electric hoists. Its lifting weight is suitable for 3-16 tons; proper span is suitable for 12-30 meters; working temperature is suitable for -20 degrees to +40 degrees. This crane is widely used at the open ground and warehouses for lifting, moving, loading and unloading materials, and has the all kinds of advantages with simple structure, easy maintenance, light weight and so on. This product has two controlling forms with ground controlling and driver’s room controlling, which can work together to finish the task quickly. Of course, if you only want a control mode, we will make the appropriate adjustments that the engineers design the only one controlling operation. 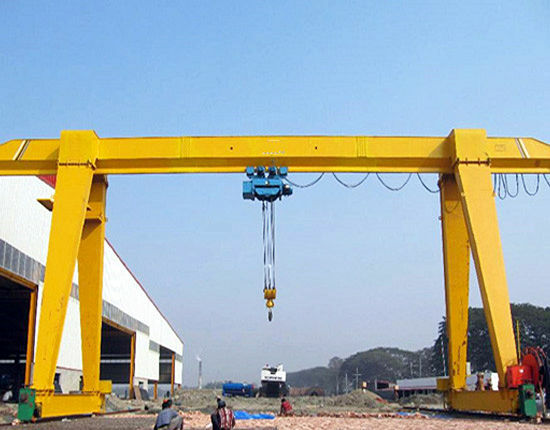 Generally, the overall structure of this box-type gantry crane is clear, the use of A-shaped has high stability to support the main beam. The bottom with movable pulleys, the site can be converted. Compared with the truss type crane, the weight, span and lifting height is not much difference. Operating mechanism has the motor with ground controlling and driver’s controlling room and reducers about changing the speed. The electric hoist also has a motor to change the speed of running with lifting or traveling. 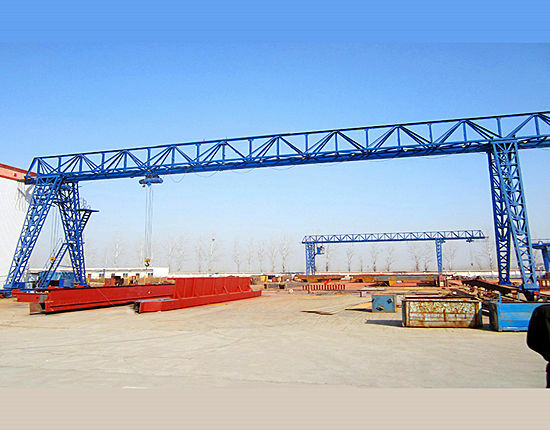 To ensure safety work of the crane, the structure sets the device of height limit. The use of welded steel plate structure has high safety, stiffness and other characteristics. With a variety of structure arrangement, the overall looks like beautiful and comfortable. Compared with the gantry crane of box type, the whole weight is relatively light, which is conducive to the workers’ construction, that is, installation and unloading. Similarly, it still needs to match with electric hoist. You can also use two electric hoists to co-operation. The overall stability is the same as the box-type’s that A-shaped bracket to support the superstructure. In addition, the biggest difference with the crane of the box type is the structure of the main beam that does not restrict the limits of materials’ operation. The advantage is good wind resistance. BMH model electric hoist semi-gantry crane can work together with CD1, MD1 model electric hoists. Its lifting weight is suitable for 2-16 tons; proper span is suitable for 5-20 meters; working temperature is suitable for -20 degrees to +40 degrees. This crane is widely used at outdoor freight yard to operate goods of material market and bulk cargo handling. Similarly, This product has two controlling forms with ground controlling and remote controlling system, which can work together to finish the task quickly. Of course, if you only want a control mode, we will make the appropriate adjustments that the engineers design the only one controlling operation. Under the beam, the special reducers can make widely at the operation process. 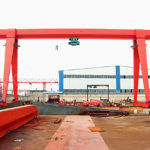 According to the structural characteristics, the single girder gantry crane has lighter weight and less wheel pressure. Therefore, for the lifting height, the whole height of the machine has been reduced. As a result, the cost is lowered. Under normal circumstances, it needs to match with hoists, which work together. The level of work is relatively good. In different working environments and places, we will choose reasonable sizes and installation of protective facilities about customers’ requirements. Some mode of operation is ground wired handle, remote control of ground wireless or drivers’ room controlling. Of course, you can also choose one or both. If you are indoors that you demand positioning accuracy of material handling, parts assembly and other occasions, we will suggest that you use more rationalized products. In short, its advantage is not only the high quality of the specifications of the operation, but also the pursuit of lightweight structure and beautiful appearance in the design. 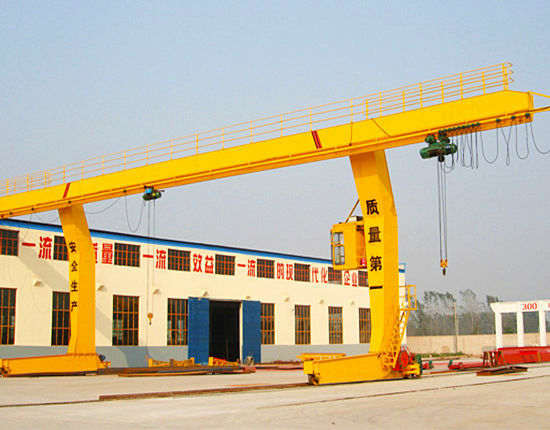 If you are interested in our gantry crane products, contact us as soon as possible. We will spare no effort to help you according to your requirements. After several decades of development, we have some experience with the product. We are very much looking forward to your attention. 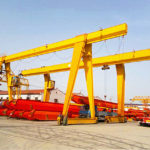 For a reliable single girder gantry crane, just don’t hesitate to send us emails for price details.